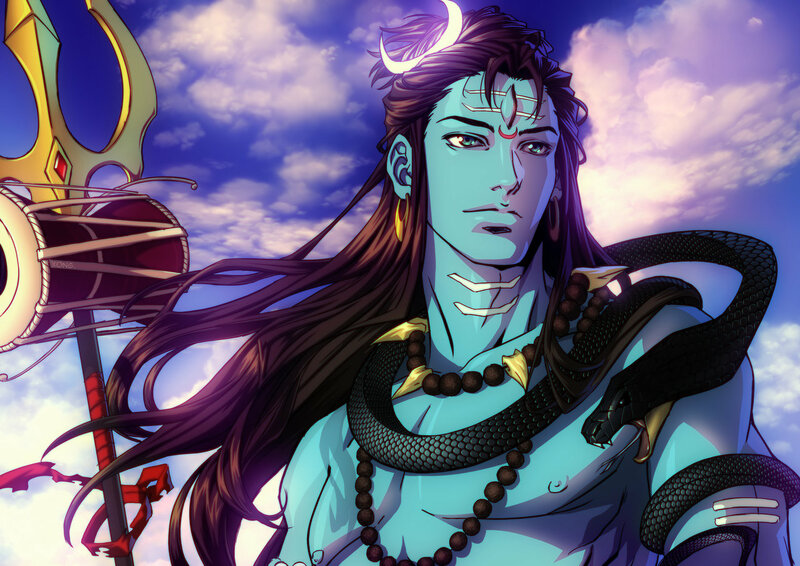 5 Shiva Ganga story - How Shiva became Gangadhar? So much have been already written about the history of the Ganga river. It is the holiest river in India. Ganga river history, attached with the most substantial rivers of the South Asian continent. Ganga river is also the longest river in India which originates from the bottom of the Himalayas. Ganga river history has a tremendous impact on India with immense environmental, spiritual, and cultural, influence on every segment of society. Ganga provides water to 11 states of India and, nearly about 500 million people are getting nourished by it which makes 40% of India's population. It is the only river which flows through various states of India and then reaches to Bangladesh. In the western world, river Ganga is known by the name of Ganges. As defined above, Ganga river originates from the bottom of the eastern Himalayas named as Gomukh. Gomukh is located in the at the bottom of Gangotri Glacier, at the state of Uttarakhand which is known for its beauty and natural resources. In the Gomukh, river Ganga is known by the name of Bhagirathi. Ganga journey starts from the glaciers of Gomukh as Bhagirathi and completes to the Bay of Bengal. The Ganges crosses over approx two thousand five hundred kilometers. While traveling from Gomukh Uttarakhand, Bhagirathi meets with Alaknanda and becomes Ganga in the sacred town which is known by the name of Devprayag. Devprayag town name has a sacred meaning. Straight from the lap of Himalayas while traveling through Rishikesh, first-time river Ganga reaches to the Gangetic Plain at the pilgrimage town of Haridwar. Ganga journey continues to cities like Mukteshwar, Kannauj, Farukhabad, and Kanpur. Later on, river Ganga is joined by Ram Ganga which originates from District of Pauri Garhwal, Uttarakhand. River Ganga joins the river Yamuna at Triveni Sangam at Prayagraaj. That is the holy conflux in Hinduism. In every 14 years, world biggest fest is organized which is known by the name of MahaKumbh. After Prayagraaj, Ganga reaches to City of Lord Shiva which is known by the name of Kashi. The city of Kashi is now, known by the name of Varanasi or Banaras. The city of Kashi is famous for its Shiva influence on every substance. Every year millions of devotees of Shiva visit Manikarnika Ghaat to worship the supreme divine entity, Lord Shiva the destroyer of Darkness . Then river Ganga reaches Mirzapur, Patna, Bhagalpur and after crossing Bhagalpur, Ganga reaches to the southern part of the nation. After West Bengal cities of Murshidabad, Nabadwip, Kolkata, and Howrah, River Ganga enters Bangladesh and discharge at Sundarban Delta. Ganga is not just a river it is the base of the oldest civilization which is more than 10000+ years old. One of the most amazing things about Ganga river history is that Ganga is worshipped, as Goddess in Santana Dharma. Every evening in the holy city of Rishikesh, Haridwar, and Kashi, People gather unitedly for offering their devotions to goddess Ganga in Ganga Aarti. The principal aims of the Ganga Aarti are to human welfare by increasing world peace and kindness in the world. Participating Ganga Aarti in the twilight is the divine experience. Every Year numerous pilgrims like from the different part of the world visit to these holy cities of Kashi and Rishikesh to experience the spiritual gathering, and offer their praying to Lord Shankara, Ganga. Ganga is given more importance in the Vedas. In contemporary, to River Ganga, two other rivers are also treated with significant levels. Among these three rivers, river Ganga is given more importance in the third Vedas. Megasthenes was the first European traveler who mentioned about Ganga river in his work Indica. River Ganga is also connected to Lord Rama as Lord Rama stayed some days near the bank of River Saryu, a Subsidiary of Ganga river. Hence Ram Naam is associated to River Ganga. You can easily find numbers of people Chanting Ram Naam near the bank of river Ganga. Ganga is the sacred river in Hinduism. Every year millions of Hindus take holy bath in the river Ganga. You cannot get the Moksha without taking a bath in the Ganga river. Every year million people from distinct parts of the country come to pay homage to their ancestor. They release the ashes of their ancestor in the holy water of Ganga. They take the deep dip in the river water and cup the river water in the hands and worship their demigods and letting the Ganga waterfall back into the Ganga again. While going back to home people collect river water in their small utensils which is consider as the holy water. Every feast, ceremony, and the ritual is incomplete without Ganga. Ganga water is pious; It brings positive energy to life. 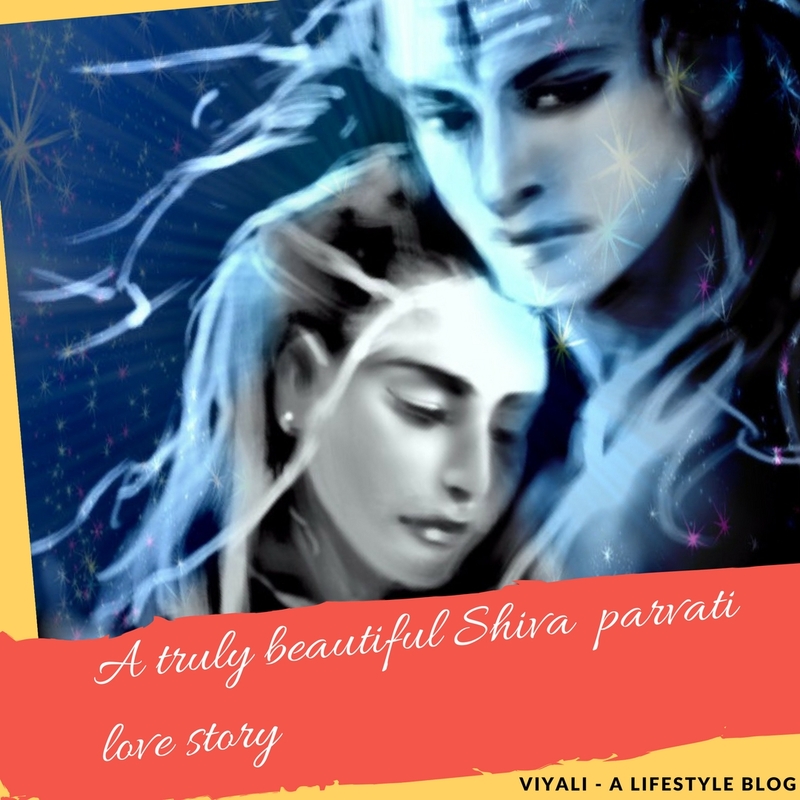 Shiva Ganga story - How Shiva became Gangadhar? As I have mentioned above Ganga is also known as Bhagirathi. There was a king named Sagar. He was one of the most powerful kings. For increasing his strength, he organized a Yagya (ritual) known by the name of Ashwamedha Yagya. In Ashwamedha Yagya, a horse is set free for grazing. 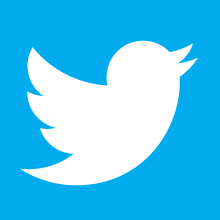 As long as horse keep grazing, the king as an owner of the horse becomes an owner of the horse grazing land. When the king of demi-god Indra Saw the increasing influence of Sagar, he tried to trick King Sagar by stolen his Yagya horse and secretly tied on the door of sage Kapil. King Sagar came to know that his Yagy horse is in Ashram of sage Kapil. He ordered his 60,000 sons to bring back the horse and teach a hard lesson to sage Kapil. After reaching the Ashram, they tried to assault Sage Kapil by using inappropriate words for him. Sage Kapil wrath vanished all the son of Sagar. Anshuman, the grandson of Sagar, tried to apologize to sage Kapil for his ancestor's karma. Sage Kapil advised that only water of river Ganga can give Moksha to his ancestors. Sage told to Anshuman Ganga river water is pure and divine. Getting river Ganga on earth was a difficult task since Ganga was a divine river. Anshuman tried to worship Lord Brahma for his ancestor's moksha but failed miserably. Dilip son of Anshuman Worship Lord Brahma to help him to bring river Ganga to earth. Unfortunately, he also gets failed and, transfers his responsibility to his son Bhagirath. Bhagirath accomplishes the task by pleasing Lord Brahma. Brahma gets happy by great penance of Bhagirath. He puts a point to Bhagirath that Ganga flow is so mighty that earth might get shatter by Ganga water pressure. At last Brahma advised Bhagirath to seek help from omniscient Lord Rudra who is also known for his simplicity as Bholenath. 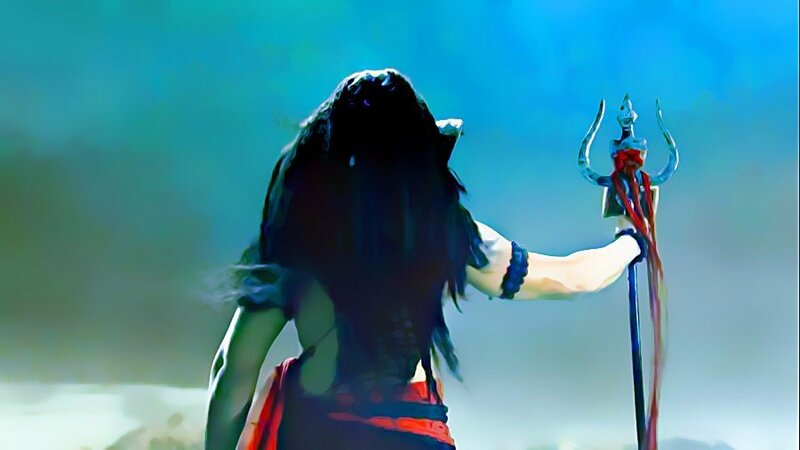 Only Mahakaal can hold the pressure of Ganga. 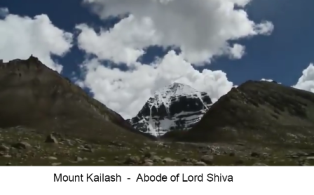 Bhagirath goes to the abode of Shiva Mount Kailash and requests Shiva to help him. 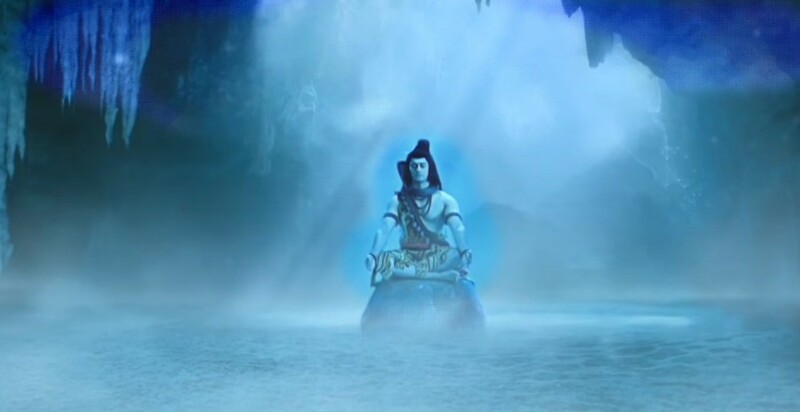 He asks Shiva to capture Ganga flow in his matted hair locks coil. Shiva as simplest of Simple God get's agreed to hold Goddess Ganga on his hair locks for the humanitarian cause. Brahma lifts his kamandal (utensils used by sages to hold alms) and releases the flow of Ganga water, and Shiva gets available to handle the Ganga in his hair locks. By holding Ganga tremendous pressure Shiva captures the Ganga on his head hair locks, and Slowly-Slowly opens his first coil of hair locks. A stream of Ganga originates from the Shiva's head. Shiva gives a name Bhagirathi to Ganga. For Bhagirath's incredible efforts to bring the river to earth, Shiva himself becomes GANGADHAR which means the one who holds Ganga stream. Ganga gives salutation and thanks to Shiva for holding her in his hair locks. Ganga tells to Shiva that he made Ganga equivalent to Moon Crescent on his head. Shiva states that Ganga water is the pious and Moksha giver. It is the reason why I gave well deserving space to Ganga on my hair coil. Humans will get nirvana or moksha by the water of river Ganga. Ganga will become the medium for reflection of energies from one dimension to another. Ganga will also initiate the new beginning of the life or civilization on its bank. Ganga will have an immense power of sin destruction. She will be able to consume any sin with her holy water. Even after cleaning the sin of people Ganga will remain pious and pure. Ganga will keep free this earth from the harmful incident. 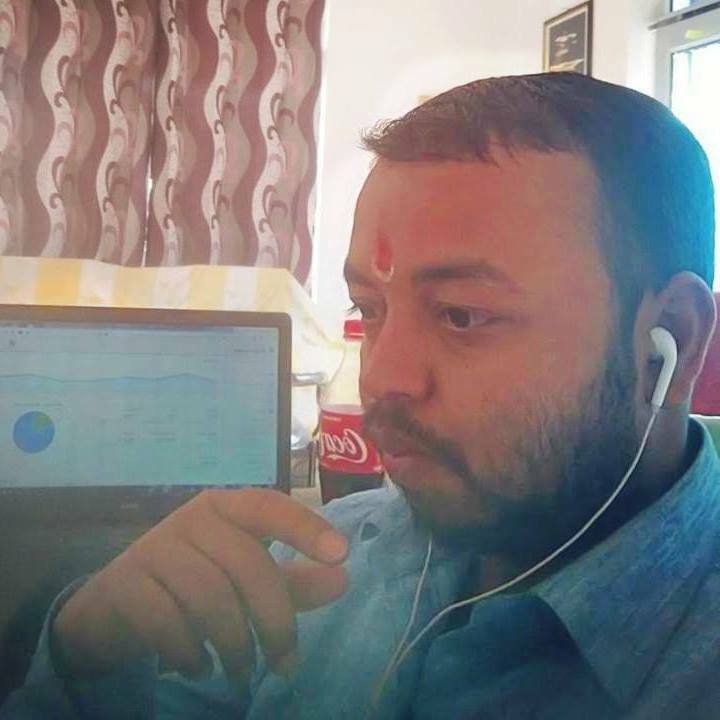 Bhagirath takes the pledge to protect Ganga. Bhagirath gives Thanks to Shiva for holding Ganga on his head. Shiva warns Bhagirath that in coming epochs human will become self-destructive by indulging more to greedy life. They will start forgetting that Vairagya is the easiest way to purify soul and karma which leads to scarcity of the water resource on earth. Water will become a valuable gem hence will result in war. In such conditions, only water of Ganga will keep alive human faith. Take an oath of Ganga protection. It will be your duty to protect Ganga purity, dignity and flow. Bhagirath takes the oath to defend Ganga. 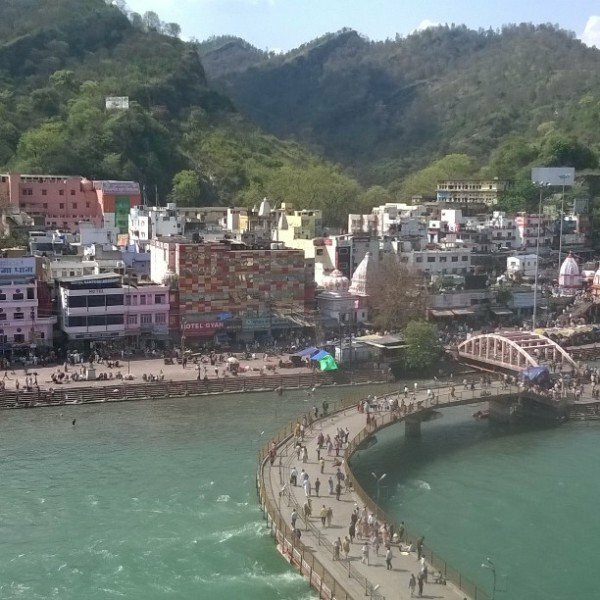 Ganga stream starts following Bhagirath steps and reaches to the Ashram of sage Kapila where she gives Moksha to Bhagirath's 60,000+ ancestors and rest of humanity. It the Significant issue of river Ganges Even today in the current modern era of Hinduism every task is accomplished with water of holy Ganga. Ganga which is not only a river to us. Ganga is our divine mother who nourishes every spectrum of life. Without seeing any limitations, now Ganga is facing the biggest problem of being called the ninth polluted rivers according to helpsavenature.com. The Ganga river, whose water we take to our home with much faith is now dealing with 21 Million tonnes of wastage dumped to river Ganga on a daily basis . 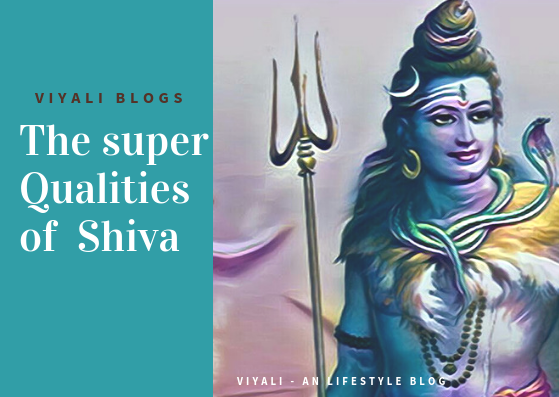 Isn't we insulting the divine boon of Lord Shiva and penance of Bhagirath? Ganga seems to be exhausted in many places, and Ganga defeat will be our defeat, the loss of the oldest civilization, and the fall of humanity. Save Ganga movement - It is the most supported movement by the Hindu sages and social activists Community. Prime minister Modi has presented a higher agenda to clean the river Ganga at any cost. Pm is doing everything to make people aware about Cleanness. He launched the Campaign of Swach Bharat Abhiyan which means Clean India. Clean Ganga Project is one of those top projects of India's govt which is related to Ganga cleaning. Clean Ganga project works under the Ganga Action Plan. It is the part of the Ministry of Environment, and Forests. On a Daily basis, Pm Modi office is taking advice on the govt portal designed for Indian citizens mygov.in. National Mission for Clean Ganga(NMCG) Namami Gange Hon’ble Prime Minister, Shri Narendra Modi, laid the foundation stone for four sewerage projects under the Namami Gange programme, at Mokama. Rally for Rivers - Campaign organized by Sadhguru and team to save rivers of India. Ganga is his primary focus. We all are consumers of water and river water is the primary source of our water need. Since from the beginning of everything. 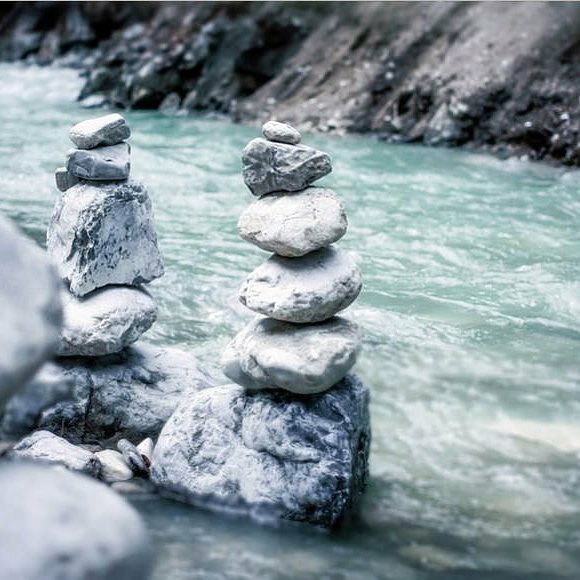 Rivers did everything for us they protected us and Nourished us. Time has come we should come forward to give return back to the rivers by not dumping the wastage to the Rivers. By planting more tree on the bank of the rivers. If there will be enough trees on the bank of the river; its basin will become more fertile. The river will be able to Nourish more habitats means more life. 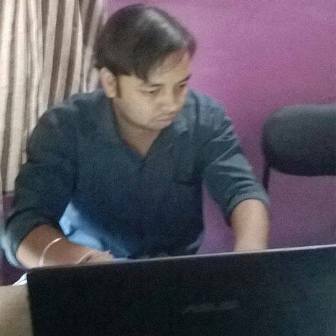 By helping govt organizations by giving them suggestions and following rules. Helping others by educating them about the importance of clean river water or spreading awareness about issues related to river pollution. We must Stop others to dump the wastage into river water. We need to understand that pure air and clean water resource is the best gift we could give to the next generation. Ganga history states it is the sacred river which starts from the bottom of the eastern Himalayas and discharges at Sundarbans delta to the Bay of Bengal. Ganga River has a cultural or spiritual impact on Indian society. Bhagirath made it possible to bring Ganga to earth from the heaven. 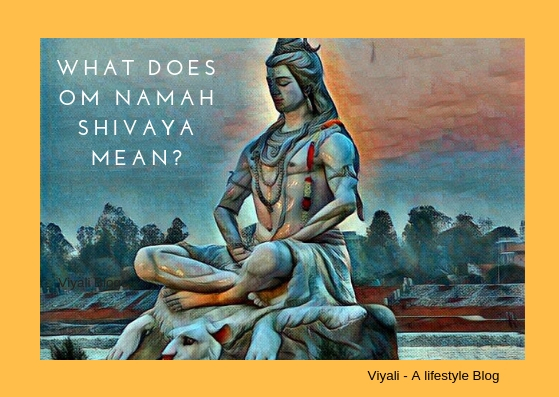 In which Shiva helped Bhagirath to bring holy river Ganga to earth. Ganga is facing the issue of one of the most polluted river water. Agencies are working hard to protect the cleanness of Ganga, but it is our responsibility too.